School and Coach Buses all experience REGEN Maintenance issues. Stop & Go driving tend to clog DPF's (Diesel Particulate Filters) and force downtime. A cleaner burning fuel reduces both pollution and maintenance expenses. New York, April 05, 2019 -- After a few years failing to believe the ECO Fuel System could reduce REGEN's, DPF Maintenance, Downtime and save Fuel a few large independent operations have finally tested and installed it. After verifying the patented ECOFuelMax solution worked and realizing by reducing Hydrocarbon Pollution diesel motors run cleaner and more efficiently. In Texas School Buses show savings in excess of $1,000 annually, in Florida Coach Buses show savings in excess of $3,000 annually. Stop and Go driving is inefficient but necessary. Independent companies and municipalities are finally realizing there is a financial benefit to installing a low cost ($390) pollution solution that reduces Carbon Particulates (+/-70%). Governmental agencies like NASA and multiple School Districts have been successfully utilizing the ECO's proven and guaranteed solution. This is a call to all Independent School and Coach Bus organizations to help to reduce Carbon Pollution by testing and implementing a guaranteed solution to reducing Carbon Pollution that works. Both children and adult passengers are entitled to breathe clean air. Multiple Certified test reports are published online. The recent international Scientist call to reduce pollution immediately has shown the ECO Fuel System it can be profitable. By reducing REGEN Cycles, Maintenance, Downtime and saving Fuel everyone wins. About ECO Fuel Systems: Our associates and engineers have been manufacturing and marketing Fuel saving devices since 1999. Like others having aftermarket product doubts we tested and to this day still use the ECOFuelMaximizer Enhancer. We joined forces as a Direct Fleet Wholesale Warehouse Distributor. The ECO Fuel Systems biggest customers are schools . . .
About a third of the food produced in South Africa gets wasted and 90% of this waste lands up in landfills. 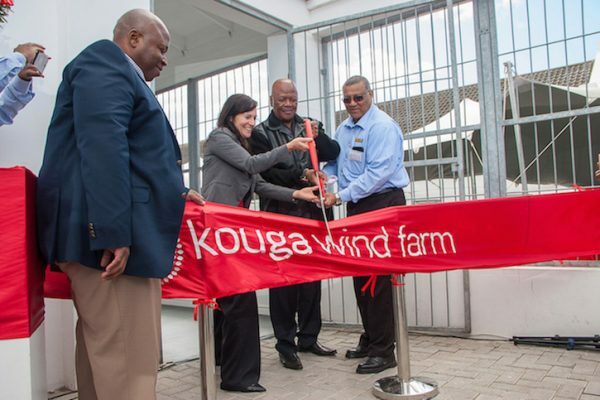 Growthpoint Properties have embarked on an exciting partnership with the Dutch green technology provider Waste Transformers by installing an on-site, anaerobic digester at its N1 City Mall property in Cape Town which uses organic waste to produce green electricity, hot water and fertiliser. “Landfills produce methane gas which is worse for the environment than CO² emissions” says Gavin Jones, Growthpoint Properties’ Regional Retail Asset Manager for the Western Cape, “and the South African government is aiming to reduce at least half of that food wastage. 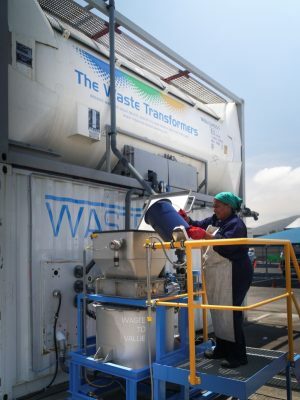 The intention of this waste-to-power installation at N1 City with Waste Transformers is to look towards future regulation, particularly in the Western Cape, that will limit the removal of organic waste from operating buildings to landfill sites. Cape Town has announced that they want a 100% reduction of organic waste to landfills by the year 2027. And Growthpoint is trying to reach that target by 2020 while Cape Town is hoping to reach a target of 30% by that time.” Modulated structure functions like a stomach The Waste Transformers unit is a modulated structure comprising four large containers that are run by a number of processes and occupies about six or seven parking bays onsite at the N1 City mall. “Within our shopping centre environment,” says Growthpoint Properties’ Gavin Jones, “we collect organic waste material from restaurants and from food supermarket operators in separate bins and separate it from the recycled goods. We then process it in the first stage of the machine, which is the macerator which chops up the organic waste matter into a usable size. A grey water mix is added and this mixture is then pumped into the anaerobic digester. With added enzymes, this digester pretty much functions like a stomach which produces methane gas as well as a by-product of hot water.“ The hot water . . . 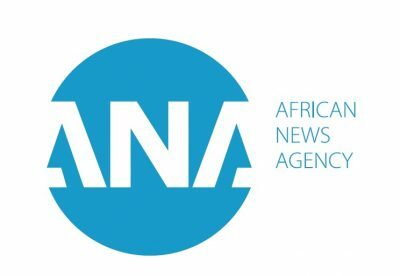 The organisers of African Utility Week and POWERGEN Africa, have announced that they have entered into a media partnership with the global news organisation and broadcaster CNN in the run-up to the event that is taking place from 14-16 May in Cape Town. 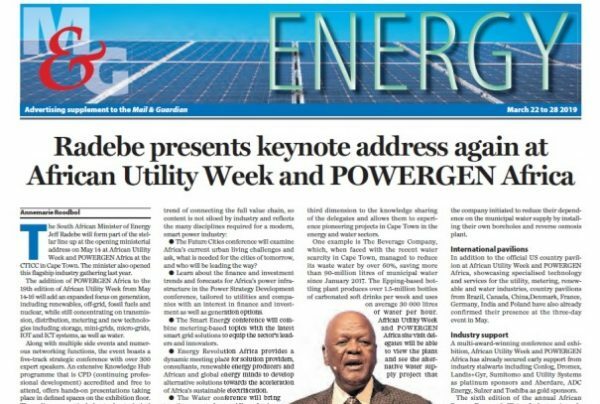 The South African Minister of Energy, Honourable Jeff Radebe, is heading up a stellar line up of expert speakers and will once again deliver the opening ministerial address on 14 May. The 19th edition of this leading conference and exhibition is expected to attract more than 10 000 energy and water professionals this year. 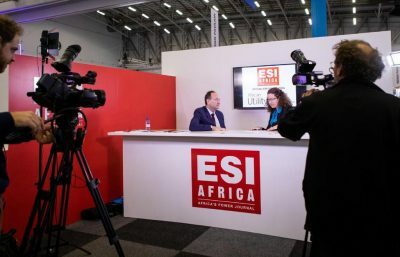 International pavilions Apart from the official U.S. country pavilion at African Utility Week and POWERGEN Africa showcasing specialised technology and services for the utility, metering, renewable and water industries, country pavilions from Canada, China, Denmark, France, Germany, India and Poland have also already confirmed their presence at the 3-day event in May. Industry support A multi-award-winning conference and exhibition, African Utility Week and POWERGEN Africa has already secured early support from industry stalwarts including Conlog, Dromex, Landis+Gyr, Sumitomo and Utility Systems as platinum sponsors and Aberdare, ADC Energy, Sulzer and Toshiba as gold sponsors. 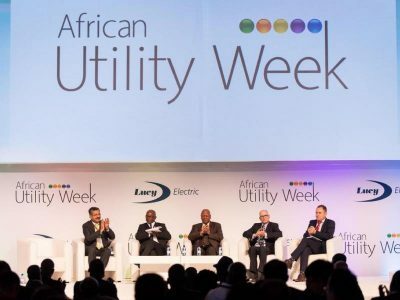 African Utility Week and the co-located POWERGEN Africa is the flagship energy event organised by Spintelligent, a multi-award-winning Cape Town-based exhibition and conference producer across the continent in the energy, infrastructure, mining and agriculture sectors. Other well-known events by Spintelligent include Future Energy East Africa, Future Energy Nigeria, the Utility CEO Forums, Agritech Expo Zambia, Nigeria Mining Week and DRC Mining Week. Spintelligent is part of the UK-based Clarion Events Group and African Utility Week and POWERGEN Africa form part of Clarion Energy, which runs over 40 events that cover the oil, gas, power and energy sectors, making it one of Clarion Events’ largest . . .
Sarsen Energy, a family run business established in 1998 is proud to announce it has become the sole importer of HKS Lazar wood pellet and wood burning boilers for the UK domestic market. England, UK., February 27, 2019 -- Sarsen Energy, a family run business established in 1998 is proud to announce it has become the sole importer of HKS Lazar wood pellet and wood burning boilers for the UK domestic market. "With the constant rise in prices of oil and fossil fuels and their detrimental effects on the ecosystem, many homeowners are sensibly looking for alternative ways of heating their homes, which are more budget-friendly and ecologically less harmful to our planet." HKS Lazar biomass boilers are a cost efficient way of heating homes using cleaner eco-friendly fuels. 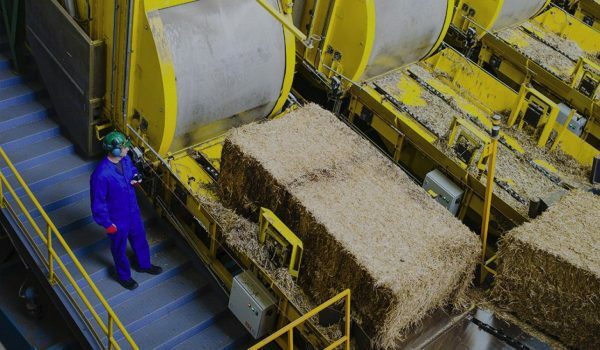 Biomass energy, sometimes known as bio energy, is a renewable form of energy produced from organic matter and recycled waste, in this instance HKS Lazar boilers use wood pellets or logs to provide a carbon neutral, renewable form of energy, which is cheaper compared to fossil fuels as producing biomass energy does not involve heavy capital outlay. Biomass boilers are fully automatic appliances, behaving more like an oil or gas boiler, and use advanced controls which cleverly regulate the amount of fuel and oxygen being delivered to the burner to match the heat demand on the boiler. The fuel is fed to the burner via an auger connected to the adjacent pellet store/hopper. This can, in turn, be automatically supplied from a bulk pellet store which can vary in size, depending on house size and demand. "Advanced algorithms control the boiler operation, ensuring the highest efficiency (up to 104.4% with our condensing model) and an advanced weather regulator to control the entire heating system." Sarsen Energy sells HKS Lazar biomass boilers to trade for easy installation and direct to home owners and is able to provide a list of accredited HKS installers in any area across the UK. HKS Lazar UK . . .